If you live in the Porter Street area of Preston then I’d like to hear from you! I’m creating a new work that involves making and play that will bring to life the story of how people used to play on your streets over 100 years ago. Find out more about the project here. I’d like to get to know more about the area and the easiest way to do this is to talk to the people who live here – that’s you! If you’re happy to talk to me, please get in touch by emailing hello@pippahale.com. The conversations can take place in your own home and will be anonymous. I’ll be asking a bit about what you used to play with as a child, and what you think about play today. I’d like to record the conversations (just sound, not video) to form a new archive of life in Preston in 2018. 4 FREE workshops will be held at the Preston Vocational Centre every Monday night in June 5.30-7.30pm. We’ll be working with James, who teaches joinery at PVC and tech experts Jim and Mark from The Media Factory at UCLAN. 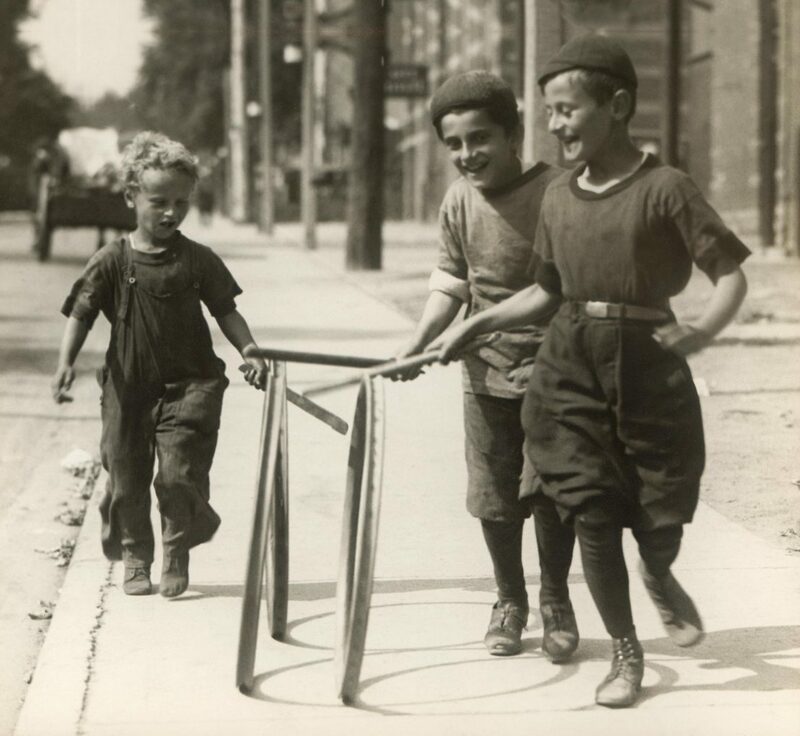 Together, we’ll make toys that kids would have played with on the streets around the turn of the 19th century including hoops and sticks, tops and whips and skipping ropes. We’ll be making them from scratch with wood then learning how to embed the technology to make them speak when they’re played with. The sessions are free and open to anyone aged 11 years old and above. You’ll be expected to commit to all 4 sessions. You don’t need to have any prior experience in woodworking, art or technology, just commitment and a willingness to learn! There are 10 spaces available – if you’d like to take part, just drop me a line at hello@pippahale.com or phone 07555 689875. This is a FREE event that will take place on Golbourne Street on 30 June 2018. We will be playing with the toys made in the workshops along with loads of other street games that kids would have played on these streets over 100 years ago. There will be refreshments and hopefully some nice weather!